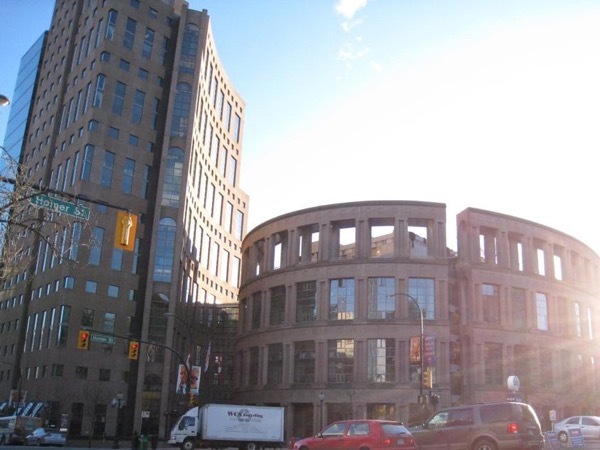 See the main tourist areas of Vancouver - say "I've been there"
Excellent tour and a super tour guide! I've used Tours By Locals many times, in many different countries, and Winston was one of the best. Vast knowledge and great rapport. Lots of fun. Vehicle very comfortable. We would highly recommend Winston for any tour he offers. We did the Granville Island tour and the Grouse Mountain tour as well. Winston was an enthusiastic and informative guide! Great personality, full of energy and very articulate! We highly recommend him! Winston picked us up at our hotel on time in a very clean vehicle. We were 7 passengers and we all had a wonderful experience with Winston . He is very personable. He is very proud of Vancouver and very knowledgeable and answered our many questions .He followed the itinerary that was predetermined by the group. He was flexible with our requests . We were lucky to have had him . We would rate Winston a full five out of five stars. Not only was he personable, knowledgeable and generous with his information and time, he was also interested in our country and politics. He has a fluency and sophistication about him that made our first five hours in Vancouver fascinating and engaging. Highly recommended. Thank you, Winston. Winston is an able and knowledgeable tour guide. We had already toured some on our own and Winston was very flexible to adjust our tour to do the things we had not experienced. He is personable and interesting and made sure that our day was enjoyable and well spent. We highly recommend him. Thank you, Winston. Winston was a wonderful guide and gave us the best experience of Vancouver possible. We saw and tasted so much of the city in the time we had there. He is personable and easy to immediately like. Do not hesitate to take his tour - you will love it. Winston was wonderful. He took us around, explained things about the city and took us to all the important places. He picked us up and dropped us off at the location we decided. His vehicle was spacious for all 6 of us. I would wholeheartedly recommend Winston for Vancouver day trip. Where to begin with Winston?!? Simply put, he was SUPERB. A gentleman and a scholar and very proud and knowledgeable of the Vancouver area. We spent two days with Winston on our Spring Break... one day in Vancouver and one day at the Capilano Suspension Bridge and Grouse Mountain. He was flexible with our family of five. An absolute delight. We had such a splendid visit and we wholeheartedly recommend Winston to anyone looking for a great tour in, or around, Vancouver. Our tour with Winston today was very informative and Winston is an energetic knowledgable guide who made the hours invested during our first hours in Vancouver most worthwhile. We now feel as they we know enough about the city and the sights to fill in the couple of days we have here most effectively. Please pass on our sincere thanks to Winston maybe one day we can return the favor if he visits Australia. We will gladly recommend Winston to any of our friends passing through Vancouver. What a fabulous morning we spent with Winston. He really enjoyed showing us his town and we loved every minute. Winston met every request we made for our tour, and added other great bits that we didn't even know existed. He shared his cultural history and we were able to then relate his words to what we were seeing. We wished we had longer to spend with Winston - he made us fall in love with Vancouver. We would definitely recommend Winston to all travellers to Vancouver. Thank you for our day! TOUR GUIDE RESPONSE: Thanks for the five star rating! So glad you enjoyed Vancouver! TOUR GUIDE RESPONSE: Thanks for the wonderful feedback, Nicole. It was an honour touring with you and your group! Winston was excellent. Easy to be with, very accommodating he really knows his hometown and enjoys showing it off to visitors. Highly recommend. TOUR GUIDE RESPONSE: Thanks, Russ and Susan, for the wonderful feedback! What a lovely day we had. Glad you enjoyed the tour and hope it ranks up there with your TED Vancouver experience! Winston is a fantastic tour guide. Punctual, friendly, well spoken, knowledgeable. When we traveled by automobile his vehicle was comfortable, clean and safe. Truly enjoyable tour of Vancouver. Wonderful tour with Winston. He was great and very informative and fun! TOUR GUIDE RESPONSE: Thank you for the glowing praise, Paul. I am thrilled that you and your group had a memorable time in Vancouver! Winston is a most pleasant sociable guide. He was especially kind with my wife's 90 year old mother. Vancouver is a beautiful city. Winston provided our group of four with a wonderful 5-hour walking & driving tour of Vancouver based on our desires to see the multitude of pertinent sights. He was both very pleasant and very informative, and communicated quickly & efficiently prior to the tour. Great value with a great tour guide. TOUR GUIDE RESPONSE: Thank you for such glowing praise, Mark! It was certainly a pleasure touring with you and your group. I'm glad that you enjoyed your time in Vancouver. Wonderful overview of Vancouver! Winston was like having a friend show you his hometown! Dropped us off at a Thai restaurant for lunch after tour was over. He recommended the restaurant and the food was delicious! I would highly recommend using tours by locals to my friends. TOUR GUIDE RESPONSE: Hi Christine! So glad that everything worked out at the restaurant! We had a great day together and I wish you only the very best in your future travels. Winston is a first rate guide. He is knows the area well and provides interesting dialog along the way. He has a great sense of humor and joins/initiates conversations as if he has known you for a long time. Maintains a good pace. He provided suggestions for other sights and activities which added to our enjoyment of Vancouver following our tour. I have already recommended Winston to a friend who will be coming to Vancouver in the near future. TOUR GUIDE RESPONSE: Fabulous feedback, Tom! It was a great day we had in Vancouver. Thanks for being such good sports and super easy to talk to. All the best in the future. Was met at the ship today by a funny and very friendly Winston. He showed us Vancouver and all its parts. It was fantastic! A lot has changed since I was here in 1970 and 2006. Winston was very informative of his beloved Vancouver. We saw everything we needed and we would highly recommend Winston in a minute. TOUR GUIDE RESPONSE: Thanks, Peter and Christine, for the great feedback! We definitely had a great day together. You are fantastic world travelers and I hope Vancouver remains among the top cities you have visited. Winston is an upbeat and knowledgeable local guide. He will give you a great overview of the city and an authentic experience. He will customize your trip to allow you to explore the off-the-beaten path areas of the city. He was also so helpful picking us up at the port and dropping us at our Vancouver hotel. TOUR GUIDE RESPONSE: Thanks so much for your review and feedback, Christy! I really enjoyed you and your family's tour. So glad to hear that I was able to enhance your time in Vancouver. Winston gave us the most fantastic tour of the city. I could not have been more pleased with the tour guide, vehicle, information given and sights we got to see. This tour was by far the absolute best way to get a 5 hours overview of Vancouver. Winston is among the most personable and likeable gentlemen that we've encountered and he provided the perfect amount of information for us. He tailored his tour to our specific needs and kept us very interested in the sights. He accommodated a couple of special requests we had and made us feel very relaxed and welcomed. We could not have chosen a better guide for the day. TOUR GUIDE RESPONSE: Craig and Karen, I can't thank you enough for the glowing feedback. I, too, had a great day with you both and wish you the very best in your future. TOUR GUIDE RESPONSE: Thank you for such wonderful and descriptive feedback, Annette. It was great to tour with you! All the best in your future travels. Winston is a true professional! He provided us with a complete and informative tour with his in depth knowledge of his home town. If you visit Vancouver trust Winston to be your perfect guide! This was our fourth Tours by Locals experience and the best by far! Not that past experiences weren't exceptional but we thoroughly enjoyed Winston! He even provided chop stick lessons at one of his family's favorite restaurant. We've already booked another tour with Winston for our post cruise stay in Vancouver! TOUR GUIDE RESPONSE: Thank you for the 5 star rating, Melissa and Allen! I really look forward to touring with you in a few more days. And I appreciate the opportunity for an encore with you! What a great look at Vancouver by a great guy that loves his city! On our own, we managed to start with a mediocre start. However, once we met up with Winston, everything came together for a memorable day! Six thumbs up! TOUR GUIDE RESPONSE: Hi Jim, Thanks so much for these fine comments! Glad that we were able to spend some enjoyable hours together. I wish the best to you, Steve and Carol Ann. Our day with Winston was fantastic. He did a wonderful job showing our group of ten Vancouver. We all had a great time. Thanks Winston for a great day! Excellent tour by winston, saw so much of Vancouver in our 5 hours, would highly recommend this tour. TOUR GUIDE RESPONSE: Thank you, thank you, thank you - to all three couples from the wonderful country continent of Oz. Wonderful tour - knowledgable and friendly guide. We had a child on crutches and he cheerfully adjusted the tour to accomodate her limitations. Also, very flexible as to our interests. TOUR GUIDE RESPONSE: Thank you, Sal, for your gracious comments. Your group was a joy to work and tour with. All the best from Vancouver! Winston was a really interesting guy to travel with. I learned all about Vancouver, municipal, provincial and federal politics in answer to my and other traveler's questions. 3 of us are Canadians who had been out of the country for 20 years or more. There was nothing about Vancouver or Canada he could not or would not answer; he is obviously knowledgeable and proudly Canadian. Driving around was fun, and the places he took us to were great. Stanley Park you've got to like, and Granville Island fun. Winston was "Wonderful"! My husband & I were delighted with the casual climate of our tour and the friendly companionship of Winston. Our tour felt like an old friend was sharing his city. We talked about flowers and gardens & all of the special interest points of Vancouver. Thank you Winston for the lovey day and the perfect weather! TOUR GUIDE RESPONSE: It was a true joy touring with you and Jim. I am very glad to hear that Vancouver was one of the high points of your vacation. Winston is the perfect tour guide. He is knowledgeable, timely, and courteous. He carefully adjusted the tour to meet the expectations and preferences of my group. As he did, he filled the tour with historical background, hilarious commentary, and useful advice about how to spend our time in Vancouver. It's obvious that he loves what's he doing and he loves meeting new people. I'd give him six stars if I could. TOUR GUIDE RESPONSE: John, thanks for the feedback. Your words are a boost to my ego. And it means a lot coming from such a fine group of world travelers. All the best to you and your family. I hope our paths cross again. Winston gave us a fabulous personal tour of Vancouver. He was professional and knowledgeable but also personable and friendly. By the time our time with him ended we felt like he was a member of the family! great guy. we booked a week early (by mistake) and even though it was his first day back of holiday he met us a week early. great tour. we were in vancouver for 3 days on spent the first day with winston, which then left us to go back to a couple of the places that he had highlighted for a longer viewing over the next couple of days. this worked so well. we have a 15 and 17 year old son and daughter, and we all really enjoyed the tour. winston - thank you. Winston and Nina were excellent tour guides. They were prompt, personable, helpful, well educated, conversational, and we all felt like we had known them for a long time. We developed a wonderful friendship. As an agent, I will recommend them to all clients that prefer an informative, fun day in Vancouver to Winston and Nina and Michael did a great job getting us through the city. TOUR GUIDE RESPONSE: Thanks, Freda. You and your group were simply a joy to deal with from top to bottom. We hope you have wonderful memories of Vancouver! Winston W. is simply the greatest! Our group consisted of four mid-aged ladies who had never before had the pleasure of visitng Vancouver. We felt safe with Winston and feel as though we've made a new friend. We told Winston what kind of things we would be interested in seeing, and he adjusted the entire tour accordingly. We are so happy that we ran across the Tours By Locals web site and found Winston. So much better and more personalized than touring any other way! A great value, too! TOUR GUIDE RESPONSE: Thank you for the excellent rating. It was a pleasure to tour with your group and I hope to do so again.